it's National Sausage Pizza Day ! But how about it made into a roll with spinach? Thaw bread out until doubled in size on a cookie sheet. Cook sausage in a skillet , Then roll out bread into a large rectangle. and fill with cook sausage ,then dried out spinach and sprinkle with seasoning. 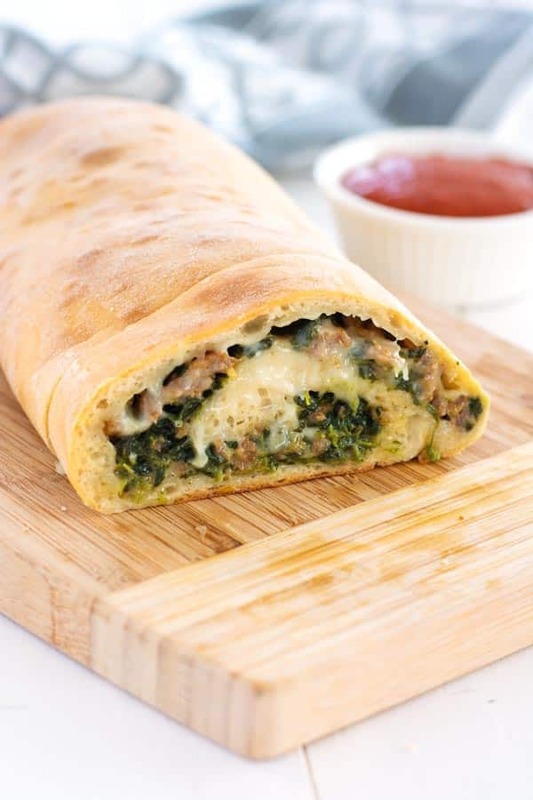 Layer cheese on top and roll up and close. Brush with egg wash . Bake at 350 for 25 minutes. Slice to serve with pizza sauce.